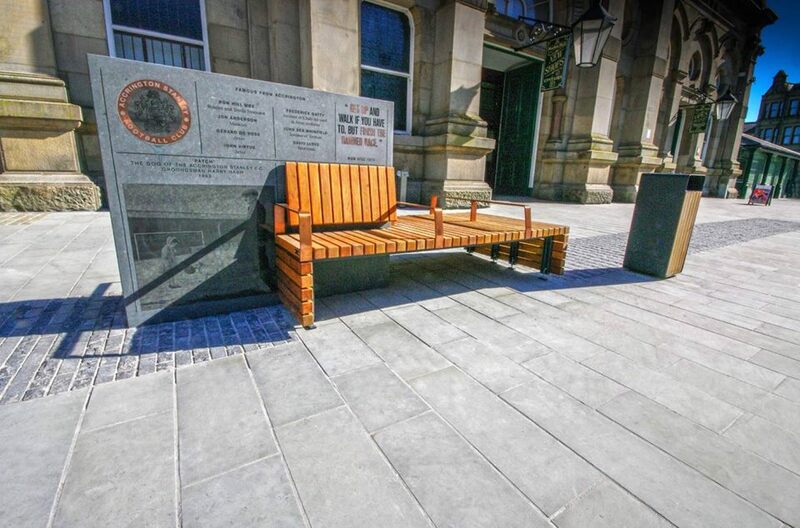 Six unique benches made with a number of Artscape processes have been installed outside Accrington town hall. 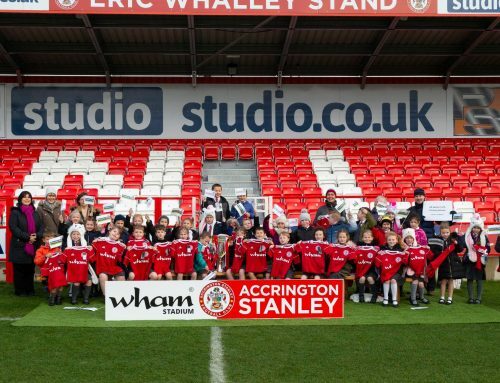 The bespoke designs recount Accrington’s rich and proud history, paying a special tribute to the Accrington Pals, Accrington Stanley FC and the area’s role in the Industrial Revolution. which took place in France in 1916. Sadly, most of the battalion lost their lives fighting courageously on the first day of the Somme. Now, the local community can come together to remember the Pals in the newly designed landscape Town Square. The updated site features six duckboard benches are made from horizontal pieces of timber, supplied by Logic Street Furniture, representing the duckboards on the bottom of a trench. 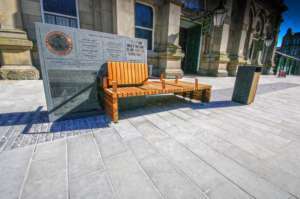 The benches are placed in a band of granite setts running around the edge of the Town Square, representing a traditional kerb and an interpretation of the two connected trench lines relating to the battle of the Somme; a touching reference to the Pals and all those who fell in World War One. 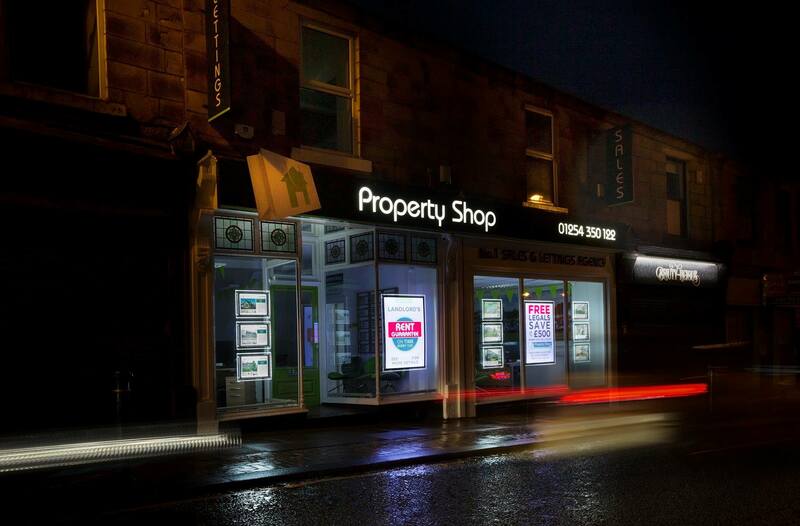 The project brief brought together several collaborators to fulfil the vision of Hyndburn Borough Council and Lancashire County Council. 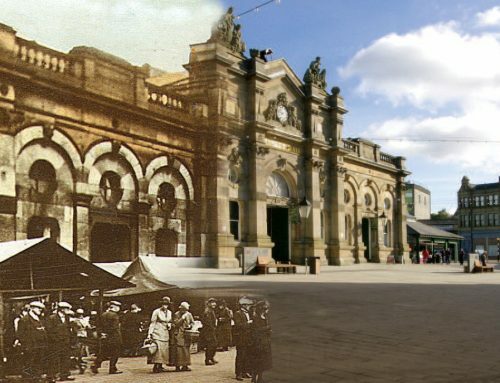 The councils set out with the aim to create a civic space for events that celebrated Accrington’s Town and Market Halls, as well as commemorate the Accrington Pals. Landscape Architects IBI Group were appointed to transform the horizontal space, with the help of stone specialists Hardscape, designers Smiling Wolf and paving contractors NMS Ltd. 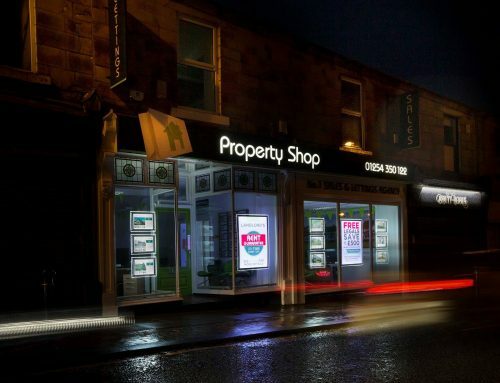 The aim was to create a space to further boost economic regeneration in the town centre, and the square will act as a social focal point, which has been deemed successful in neighbouring Lancastrian towns. 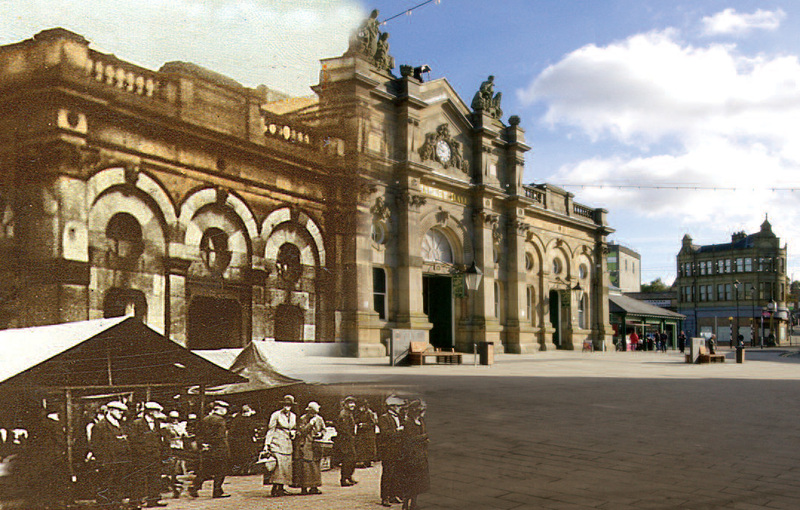 The value of the project, as a whole, is close to £1.5million and was supported by the Heritage Lottery Fund. Hardscape was tasked with supplying a broad selection of hard landscaping options, including artwork expertise and creation. To meet the specification that stated any sandstone must be UK sourced, Hardscape supplied roughly 6000m2 of sawn Whitworth sandstone. The blocks were laid at random lengths to match existing streets close to the square. Granite setts were also installed to replicate the trench lines. 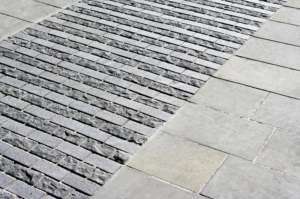 These were laid in alternating lines, one with cropped setts, and one with flamed setts, for added effect. To complete the scheme and ultimately create an open, accessible space for public events, 6 Kobra granite benches with specialised artwork were created and installed. 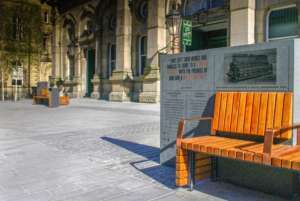 Working closely with design specialists Smiling Wolf and landscape architects IBI Group, six different pieces of art were drawn for every bench – each alluding to a piece of Accrington history. These included a mixture of historic photographs, quotes and logos, which involved the use of several newly-developed Artscape processes. 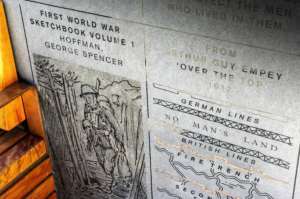 The historic photographs were laser-etched onto the side of the vertical granite benches. 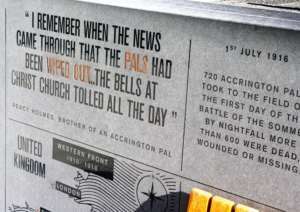 Text for the quotes was stencilled and sandblasted to describe the laser etched images. 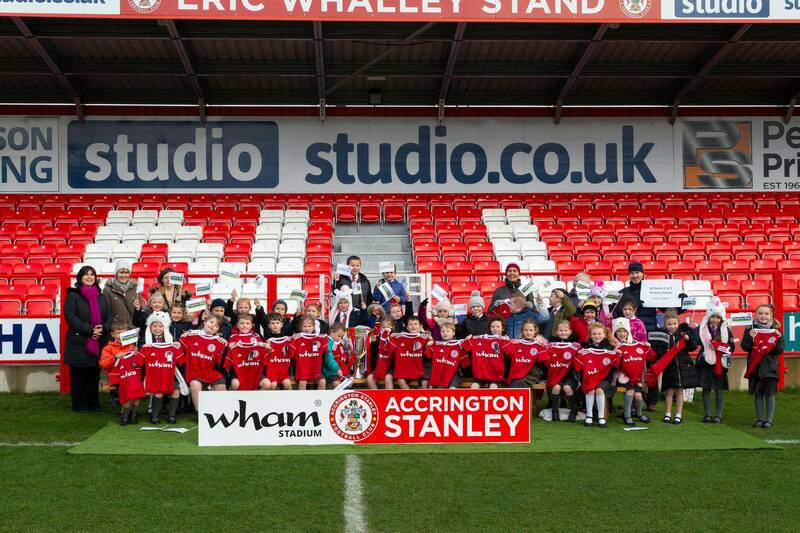 Additionally, waterjet cutting was used to allow for inlaying bronze, which can be seen in the Accrington Stanley FC logo, as well as the armrests. 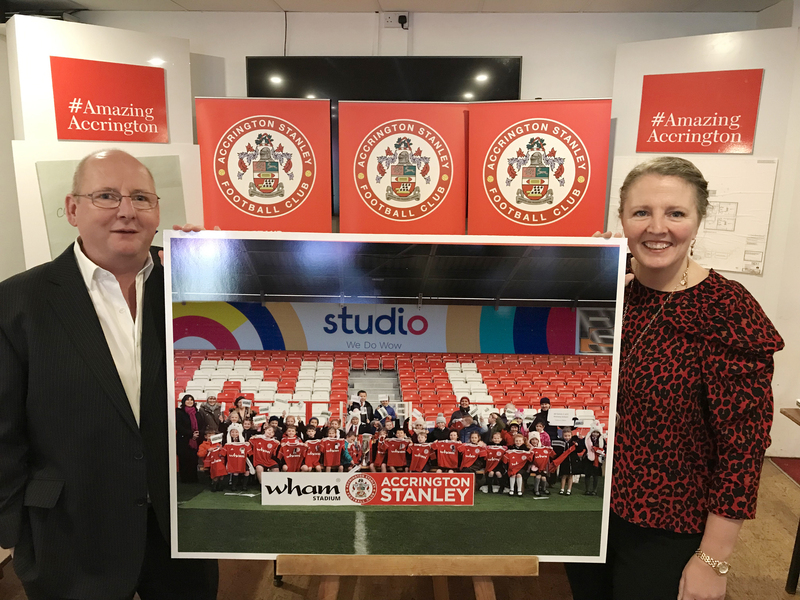 The feedback from the client has been overwhelming, with the councils particularly impressed with the quality of laser etched photographs on the side of the benches. 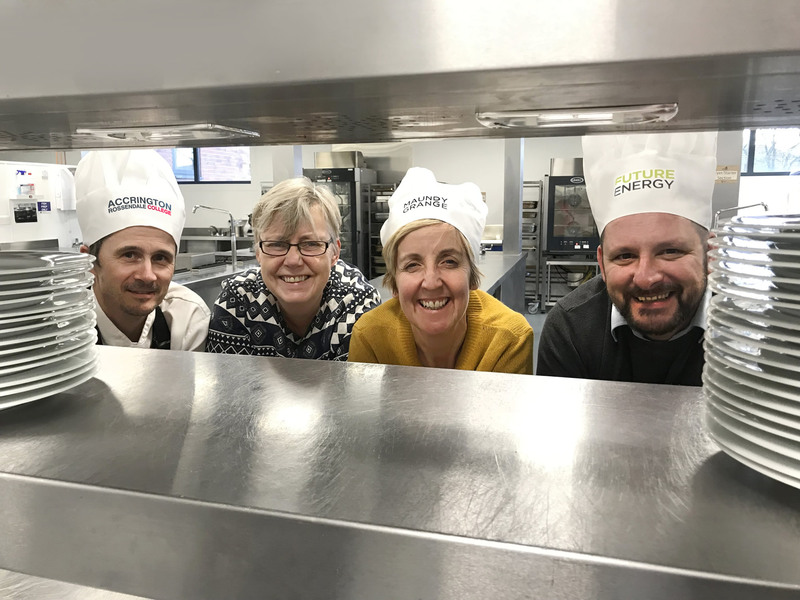 To mark such a successful and meaningful job, Hardscape’s marketing team has created a video showing the processes and journey from the factory to installation on site. 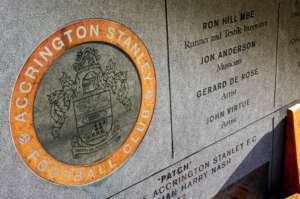 This will be shown at the official opening of the square on Saturday 10th November, which falls in line perfectly with the Remembrance Day weekend, making it a little bit more special for the Accrington Pals.